Long ago, the only berries on the tundra were hard, tasteless, little crowberries. As Anana watches the ladies complain bitterly while picking berries for the Fall Festival, she decides to use her magic to help. "Atsa-ii-yaa, Atsa-ii-yaa, Atsaukina!" -- Berry, berry, be a berry! 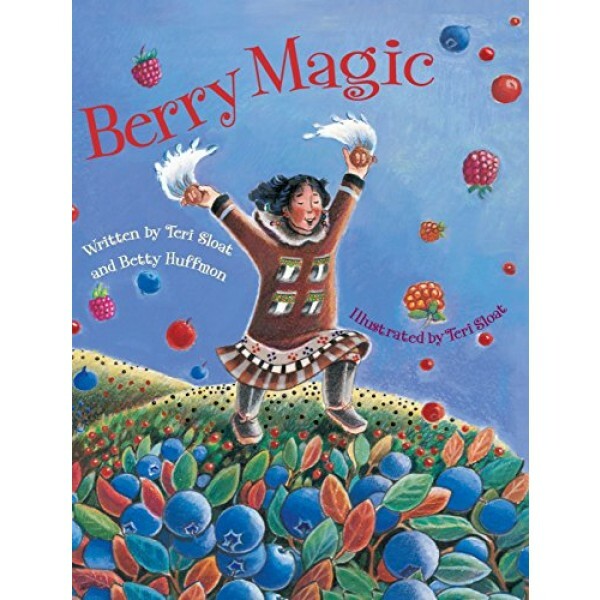 -- Anana sings under the full moon, turning four dolls into little girls that run and tumble over the tundra creating patches of fat, juicy berries: blueberries, cranberries, salmonberries, and raspberries. The next morning Anana and the ladies fill basket after basket with berries for the Fall Festival. Thanks to Anana, there are plenty of tasty berries for the agutak (Eskimo cream) at the festival and forevermore. 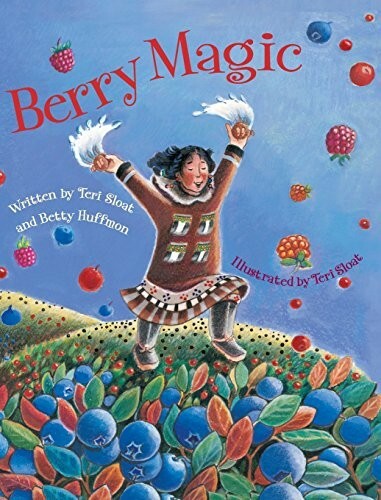 Yup'ik Eskimo elder Betty Huffmon shared this folktale with author/illustrator Teri Sloat, who brings it to life with her delightful illustrations. A recipe for agutak is included at the end.